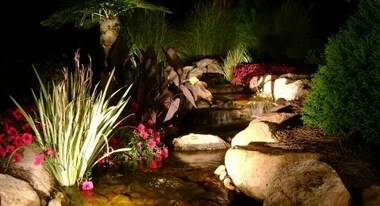 Personal Touch Landscape, a Honolulu Hawaii based landscape lighting design, and installation specialist, works with homeowners to transform the exterior of their homes and gardens into a showplace after dark. Landscape lighting improves the overall value of your home by increasing its curb appeal, safety, and its security. Landscape lighting beautifies and adds a touch of romance to your property, adds a high degree of security by lighting the shadowy areas where potential danger can lurk. Landscape lighting can add to your personal safety by outlining the path and steps to your front door. No matter what your desired style may be, we will work with you to design, install, and maintain the look that you have envisioned for your home. You will find our approach to be efficient, accommodating, and of the best quality standard. Yes, a job that not only goes beyond your visual expectations but workmanship that will withstand the test of time.